Online advertising has become quite popular as the traditional advertising with many businesses putting more emphasis on online promotions than electronic media (TV and radio). An organization that does both traditional (Newspapers, Magazines, Hoardings, banners) as well as online (web, social media, email) and electronic media need to interact with multiple agencies to create content, the images, creative and ensure its delivery across channels. There should be an internal marketing and advertising team to coordinate those activities. Marketing Cloud Training refers to integrating all online promotional activities in a single platform – it includes YouTube, Google Adwords, social media (Facebook, Twitter, Pinterest), Company’s own website, and short messaging services (SMS). Cloud enables the organization to manage their entire marketing communications by accessing the cloud through the internet from anywhere. Many leading IT vendors have come up with products in the Marketing Cloud Training space- It includes Adobe, SAP, Oracle, Salesforce, IBM. They promise to provide an integrated solution to online marketing promotion activities and provide better returns for all categories of businesses. But it will be more attractive for small and medium businesses which can’t invest heavily in software, infrastructure, and solutions. If your business is primarily focused on promotional activities through traditional and electronic media, there is perhaps there is no point in investing in marketing cloud training at all. However, if the major marketing promotion is being done through online and you don’t have any funds to invest in various solutions, the better option would be the cloud. It is important to analyze the volume of promotional messages that would be sent to consumers. It is also important to invest in technologies that can be integrated with the cloud later on. It is also possible to integrate traditional marketing efforts and online efforts together on marketing cloud. Just because other firms in the industry are moving into marketing cloud is not reason enough for your company to do so. More important, choosing the right vendor will go a long way in ensuring acceptance and adoption of cloud in your organization. Industry surveys show that cloud services are sparingly or not used properly within organizations due to insufficient training or failure to brief employees on the migration to cloud systems. If there is insufficient or poor usage, it could lead to waste of expenditure and abandonment of the system. In some companies, managers are themselves not motivated enough to make adoption fast and successful among employees. It is better to select a vendor first based on the organizational requirements and tell the vendors to train the employees and establish communication channels with key players in the company. The vendors should be able to provide tutorials, email communication to educate the users on the features and solutions available with the cloud marketing products. Apart from email, vendors need to talk over the phone to discuss adoption obstacles. In some companies with cloud implementation, success was not achieved because there were several cloud applications and employees need to remember multiple logins, different dashboards or interfaces, thereby slowing down operations and employee productivity. It is ideal to have all company operations in one cloud platform- for eg. HR, sales, admin, marketing, finance all should be supported on the platform. Multiple clouds create cloud silos that hamper in getting a unified view of the operations and become a hindrance for strategic decision making. A unified platform can help get information in real time which includes key performance indicators (KPI). It should encompass operations across departments such as call centers, service, sales, revenue, and administration. 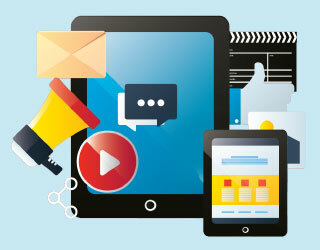 With the increasing use of mobile phones, smartphones, marketing efforts have to be integrated across web and mobile. Leading vendors Adobe, Oracle and others have come up with mobile solutions that can give an enriching experience for your consumer. Last year Adobe launched the Adobe Document Cloud that provides user-friendly solutions to create documents, edit and share them seamlessly over mobile, desktop and laptops. This can enable your marketers to get a document signed, collecting documents from clients or customers and even enable them to read white papers. It will also enable conversion of any paper document to digital without losing original formatting. Acrobat subscription free at the time of launch was below $15 per month and had free access to Acrobat Mobile that stores files, signatures and settings apart from fill and sign. Oracle had acquired Maximise, a global leader in the digitization of consumer experiences, last year is helpful for marketers in evaluating data, delivery methods and provide personalized and unique experiences for customers. Likewise, IBM, SAP and other vendors too have mobile solutions integrated into their marketing cloud training offerings. It has been found that a majority of smartphone users use social media to get the review of products and brands before deciding to purchase. Therefore, companies that integrate their mobile apps with customer reviews and share buttons of social media will benefit immensely from marketing automation. Discount offers and coupons are usually delivered as SMS. The average email click-through rate is much lower at 4.2% compared to SMS which has an open rate of 19%. Some advanced features allow customers to set the time and days for receiving messages and hence companies can use it effectively so as not to annoy them. The objective of using the marketing cloud should be to provide an integrated, uniform and personalized experience for consumers. It is not just in using the technology that will drive more customer satisfaction and sales but how intelligently companies use it, according to analysts. Someone who has seen your product on Amazon or eBay but didn’t buy it can be shown the same brand or products across websites they visit. According to John Ellett, a contributor to Forbes, customers are not bothered about the interaction but about how integrated and consistent they are across devices. Emarsys has given the example of a successful integration of online and offline promotion it did for a Turkish retailer. It provided a sign up on the company’s Facebook page. All those who sign up get a unique voucher that can be used to collect ice cream for free at their store. It is capable of driving huge footfall to their premises and once they buy, each customer becomes part of their database for providing more unique online experience. Choose a service provider who has a proper integration of functions such as sales, marketing, social media promotion etc. Last year, it was reported that marketing cloud training accounted for only 10% of its sales as marketing and sales modules weren’t properly integrated. Additional features are also charged higher by some service providers and hence that can have a bearing on total costs. For small and medium businesses (SMBs) who have already invested in some automation software for content and marketing can try out free apps for integrating the marketing communications. Market leaders like Salesforce may be charging huge money for availing their services and hence for SMBs, it may be ideal to go for free apps. Hubspot CRM, a free software is simple to use and directly integrates business networking, correspondence, and marketing communication tools. It enables you to add custom fields, filter records with the dashboard known for ease of use. The dashboard integrates, emails, client communication, notes, due dates, tasks calendar and invites. Data breaches can hamper your business as transmission and storage in remote servers and that is one reason why adoption is low. That is also a major reason why cloud marketing fails to get internal support. Therefore, vendors need to address the security part while the IT administrators have to decide which all data can be put on the cloud and what should be put on server on-premises. The consumers should not feel spilled or tracked upon or actively targeted for marketing messages. The whole point of integration is to provide a holistic view of the customer. According to analysts, customers are more connected than before, they are more informed thanks to social media. 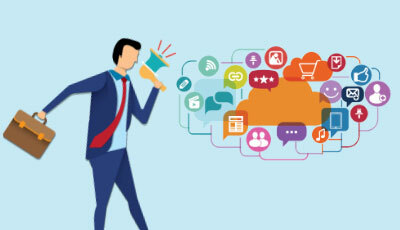 Small lapses can turn viral with the popularity of social media while marketing cloud features used judiciously can help in better connectivity with the customer. Employees should have a holistic view of its customers right from the first sales inquiry to service delivery, billing dispute, service related matters and further guidance on new product launches. When each department is integrated and share information, employees get better knowledge at every touch point in customer journey with the company thereby improving customer satisfaction levels. Therefore, to improve both employee and customer satisfaction, a well-thought-out cloud strategy is sure to help. Although it may appear easier to implement, marketing cloud features require the integration of three functional areas- Chief Marketing Officer (CMO), Chief Technology Officer (CTO) and Chief Information Officer (CIO). Customer Relationship Management (CRM) which exists out of the core of marketing has to be integrated as well. To ensure that the right message is delivered at the right time, all these functions with technology have to be integrated. Marketing cloud features may also enable companies to provide location-based targeting of messages. When Wifi is enabled in the retail store, all those with smartphones who enter the premises can be delivered specific messages – say the welcome message or a discount offer of 5% or 10% depending on how loyal the customer is. Such customers are also likely to refer or share the location with others in their network. This would greatly enhance customer satisfaction and lead to more footfalls. 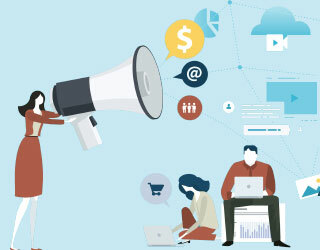 Marketing cloud features are witnessing the rapid addition of technologies and innovation which is bound to help companies to bring more features to their dashboards to enable seamless communication across different platforms. Adobe may add a new feature that will bring predictive subject lines in email campaigns after analyzing consumer behavior. Instead of following a standard protocol or strategy, this may help in achieving more open rates. The list of words or phrases that are most apt may be given in the word cloud. For eg. ‘new’ and ’brand new’ on email subject lines have different responses from consumers. Meanwhile, Maropost has announced brand management support in its marketing cloud. Users who send emails in this domain can attach DomainKeys Identified Mail (DKIM) and attach it is specific brands they manage. For companies that have a single brand, conventional cloud packages will do but agencies and companies that manage multiple brands, DKIM is required according to Maropost. Companies need to undertake research in the latest innovations happening in this area and suitably deploy them for marketing promotion. Companies should not be chasing ROI (Return on Investment) in the marketing cloud but understanding customer value. Instead of depending on a single branded vendor, small and medium businesses could look at service providers who provide a suite of branded applications such as Marketo, Adobe, or Google. This has been a guide to explore ten ways to effectively utilize Marketing Cloud Training in your organization along with living examples. These are the following external link related to the marketing cloud training. Excited to know- What is Cloud Computing &amp; How Does it Work?